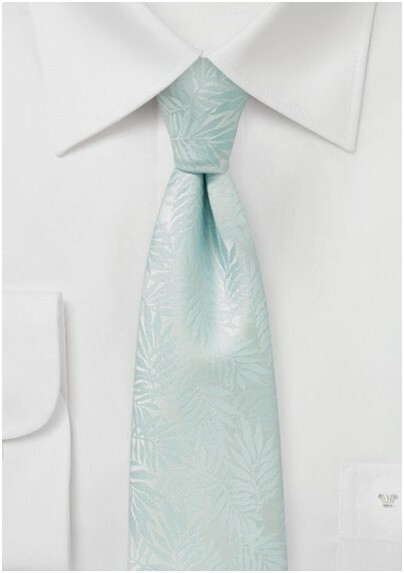 One of our hottest new wedding collections is this design by neckwear brand PUCCINI that features an unusual tropical palm leaf design paired with a monochromatic palette. 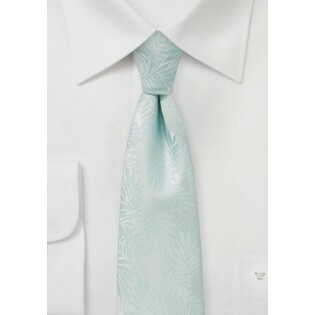 The light pool blue on this particular tie creates a fantastic summer accessory to add to your favorite summer suits in cream, tan, beige, blue, stone, and light gray. Also available in ivory cream, burgundy, navy, and black. Made by hand from woven microfiber textiles.